Sound transmission class (STC) describes the ability of a product or material to stop the transmission of airborne sound. Since the 1960s, STC ratings have been used to describe the acoustical properties of ceilings, walls, floors, and doors. 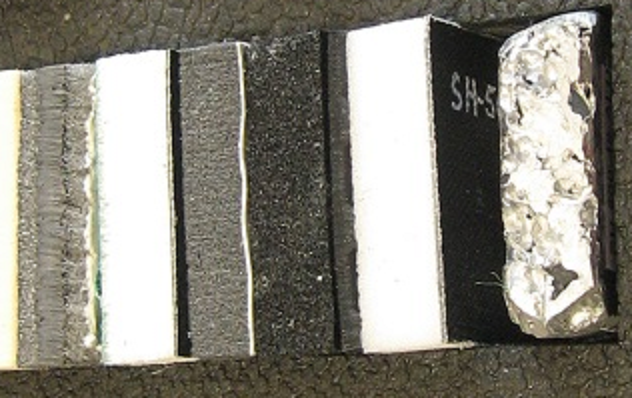 Today, STC values are provided for acoustic insulation made from a single material, and for multi-layer composites that are sandwiched together. Higher STC numbers are generally better, but there are exceptions to this rule – and other factors to consider as well. In this article from Elasto Proxy, you’ll learn what STC is and how it’s measured. For starters, we’ll cover some basic concepts about sound, vibrations that travel through the air or another medium (such as a wall) and can be heard by the human ear. Along the way, it’s important to remember that sound can also be reflected inward (such as within a metal enclosure) and cause vibrations. 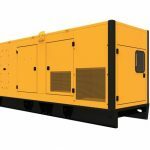 So while preventing the transmission of unwanted sound (noise) is important, you may face other design challenges, too. To understand how sound transmission class (STC) is calculated, you need to know about decibels, transmission loss, and frequency. In basic terms, decibels describe the relative loudness of a sound. Lower decibel sounds are quieter. Higher decibel sounds are louder. When decibels are unweighted, these sound pressure levels are expressed in dB. When decibels are weighted to account for how the human ear perceives sound at different frequencies, you’ll see the “A” filter applied and decibels written as dbA or db(A). 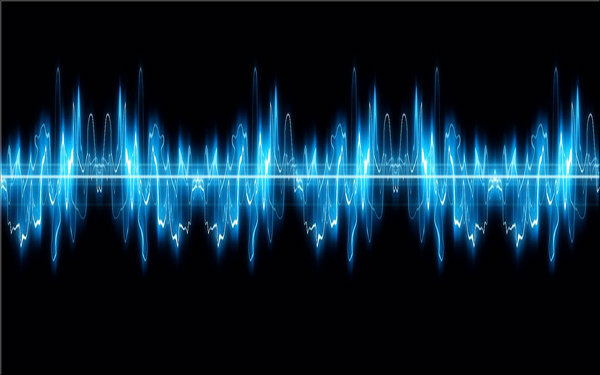 Frequency describes the tone or pitch of a sound and is measured in Hertz or Hz. Here, music provides some helpful examples. The sound of a flute or a soprano singer is high-pitched. The sound of a tuba or a baritone singer is low-pitched. Most people can hear sounds from as low as 20 Hz to as high as 20,000 Hz (20 kHz). Generally, however, the human ear is more sensitive to sounds from 1000 Hz (1 kHz) to 4000 Hz (4 kHz) than to sounds at very low or very high frequency. Transmission loss, another sound-related measurement, also helps to explain sound transmission class. 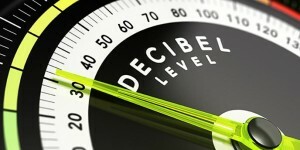 Simply put, transmission loss measures the loss in decibels (dB) from one location to another. Here, it helps to imagine two rooms separated by a wall. On one side of the wall, a source produces a 100 dB sound. On the other side of the wall, a sound level meter measures the sound as 75 dB. To describe the loss of sound energy between the rooms, we’d record the transmission loss as 25 dB. Now that you understand the basics of decibels, frequency, and transmission loss, you’re ready to learn what STC represents and how it’s measured. 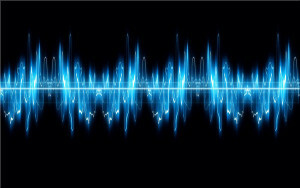 Sound transmission class (STC) is a rating that correlates, in general terms, with how people perceive sound transmissions. For example, a wall with an STC value of 25 would permit people having a normal conversation in one room to be heard and understood in an adjacent room. If the wall’s STC value was 50, however, only very loud sounds could be faintly heard in the adjacent room. As we learned in the introduction to this article, STC values apply to acoustic panels that are made from a single material or from multiple materials. 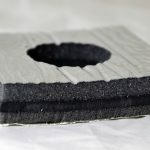 In the case of a single material like an acoustic foam, the supplier generally tests the material to determine if it meets a specific STC value. In the case of a multi-layer composite structure, the insulation fabricator must determine whether the final product meets the STC rating that’s required. STC calculations are complex, and they’re not just the sum of the STC values for each of the individual materials. STC testing for acoustic insulation is performed according to ASTM E90, and values correspond to ASTM 413. Noise is generated in one of two rooms separated by the acoustic insulation under testing. Decibel (dB) values are then measured in both rooms at 16 different frequencies between 125 Hz and 4000 Hz (4 kHz). At each frequency, the transmission loss is recorded. A value called an STC contour adjustment is applied, and the adjusted transmission loss for each frequency is calculated. At each frequency, the difference between the adjusted transmission loss and the STC that’s being tested for is determined. For all 16 frequencies, these so-called deficiencies are totaled. No single frequency band may have more than 8 deficiencies, and the total number of deficiencies may not exceed 32. STC is a useful measure for many types of acoustic insulation, but remember that the lowest frequency measured is 125 Hz. Traffic noise and industrial equipment, especially pump systems, are generally below 125 Hz. 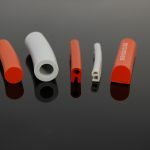 By working with Elasto Proxy, an experienced custom fabricator, you can get the acoustic insulation that you need at the sound transmission class (STC) rating you require. Using water jet cutting, we cut acoustic foams to the exact dimensions. 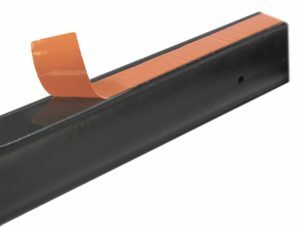 Because water jet cutting doesn’t require tooling, this parts production technique is great for prototyping and low-volume production. Our skilled production team can also create sandwich-like structures that combine acoustic insulation with innovative materials for thermal management and vibration damping. Ready to learn more? To request a quote or for answers to application-specific questions, contact us.